Kees Junior Leadership is a program designed for students between the ages of 10 and 16 who demonstrate desire, attitude and potential to become part of the Kees Community of Leaders. Junior Leadership candidates are selected individually for the qualities that will make them good role models both at Taekwondo and outside. Junior Leaders learn to have positive attitudes and behaviours in all situations. They are supported to do their best to maintain a good academic record in regular school and to be helpful at home. 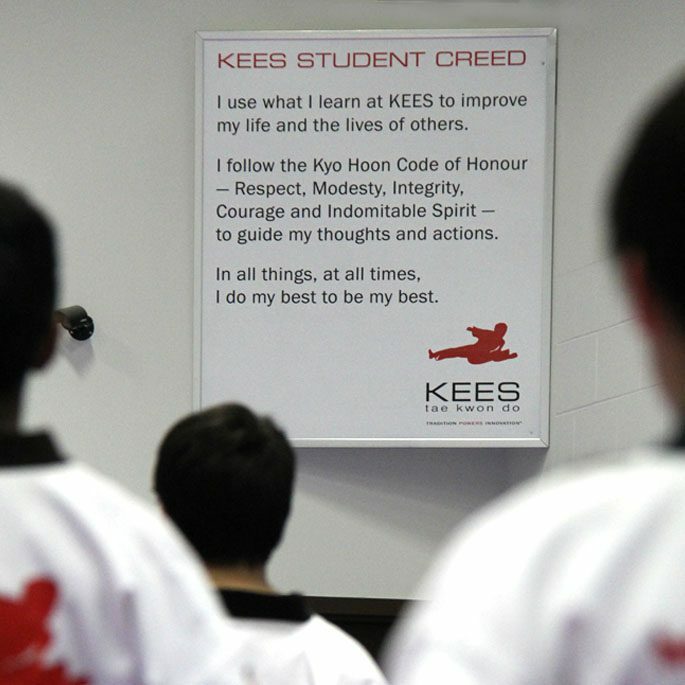 As part of their training, Junior Leaders gain extra knowledge of the Kees curriculum and are often called on to participate in public and classroom demonstrations. They also have opportunities to increase their leadership skills by assisting other children under the supervision of a qualified instructor. As their skills improve, they are tested and move through the ranks until they can join the Kees Senior Leadership Team. The experiences and responsibilities that Kees Junior Leaders acquire build self-confidence and skills which are transferable to many other aspects of their lives.